Here's a sample of works from REACT featuring our duo, reACT! Now available on iTunes, Amazon, Naxos, and other outlets. 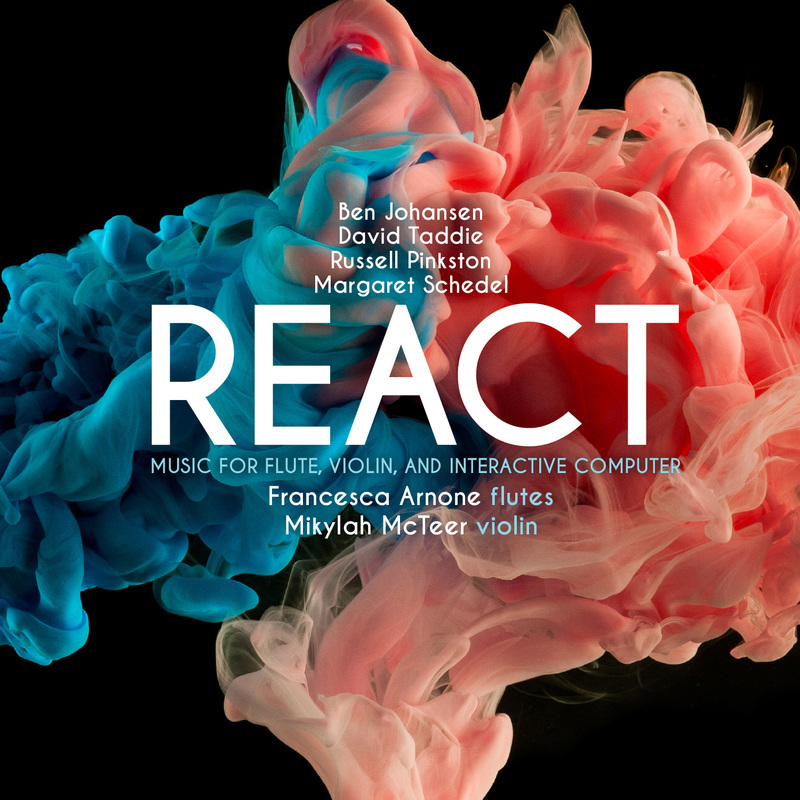 Violinist Mikylah McTeer and flutist Francesca Arnone perform diverse electroacoustic pieces on their first collaborative album REACT, released on Ravello Records. The works on this album demonstrate well the potential range of electroacoustic music in facilitating both experimental and traditional compositional ideas. The featured composers explore new ways of creating and organizing sound, and as performed with either computer or other interactive electronics, the violin and flute help construct unique sonic landscapes.